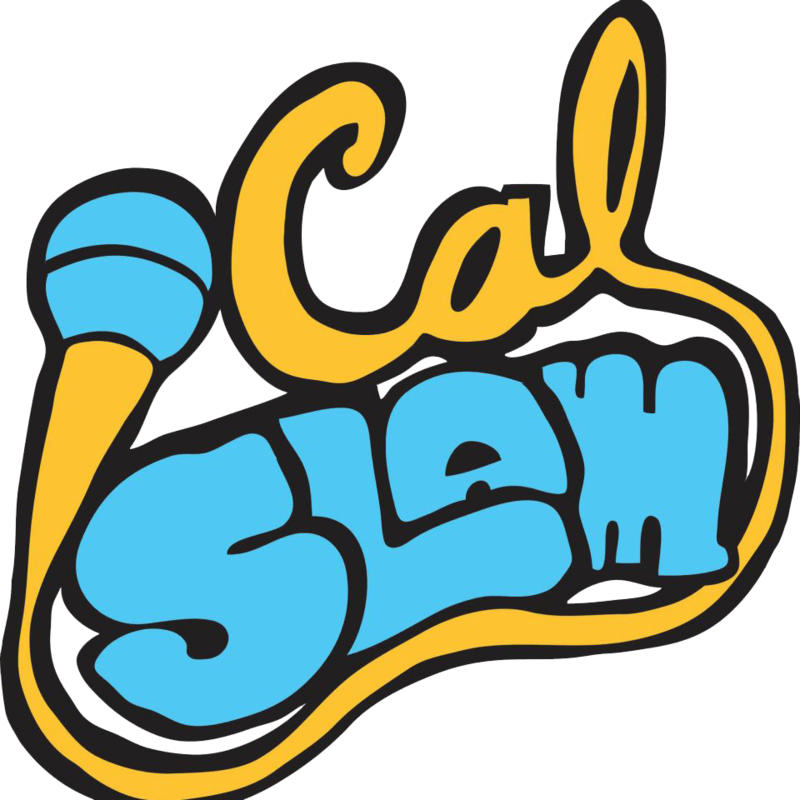 Established in 2001, CalSLAM hosts poetry workshops, open mics, and slam competitions open to the campus community and greater Bay Area community. Our mission is to create a safe space for students and community members to explore and share themselves, their experiences and their world through words. We are the longest running and only student-run spoken word poetry organization on campus. Each year, CalSLAM sponsors a team of 5 students and 2 coaches to represent UC Berkeley at the College Unions Poetry Slam Invitation (Hosted by ACUI, a national nonprofit that brings together college union and student activities professionals from hundreds of schools in seven countries), which is a national competition where 70+ colleges from around the world compete for top honors and share their distinct artistry and voices through spoken word. CalSLAM has had a long history at this competition, placing 1st twice in the past, and making it to finals stage on several occasions. 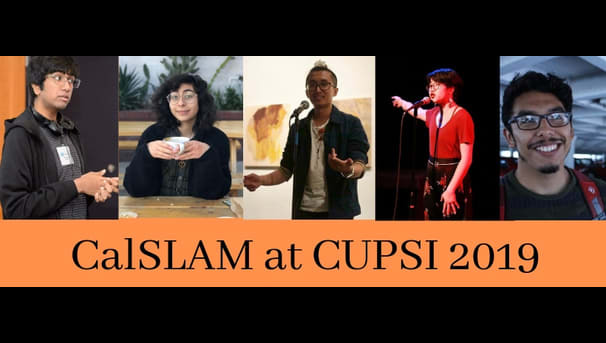 This year's competition is hosted at the University of Houston in Texas, and CalSLAM needs your help in getting our poets and students there. Please make a gift today to help us compete. As an organization that is rooted in writing and giving space to our community’s truths, CalSLAM understands and have made it our mission to create spaces in which those who are the most marginalized on campus can come and have their stories given a platform that serves to elevate them. We strive to construct the spaces we create as spaces that focus on giving these students a place to write and reclaim their struggles and victories while also giving them a stage to do so. The students chosen for the team reflect our values and are creating some of the most urgent, necessary poetry and art that speak to their lived experiences that deserve the scope of a national stage. By donating to our campaign you’ll be able to help support Cal’s next generation of spoken word poets, performers, artists, and organizers by funding their costs for CUPSI 2019, which include transportation to Houston, lodging, registration, and compensating our coaches. We’re seeking to raise at least $6,000 to cover the costs of this effort. To learn more about us, please visit our Facebook Page: Facebook.com/CalSLAM or email us at calslamdirectors@gmail.com! We'll give you a shoutout on our social media platforms (Facebook, Twitter, & Instagram). Thank you! We'll write you a haiku (a poem of three lines, with syllables of 5-7-5), personalized just for you! Send us some themes or words you'd like us to incorporate into the haiku, or we'll come up with one of our own. A personalized poem written just for you! We'll write you a poem of at least 10 lines on a topic of your choice, or approximately a 1-2 minute slam poem. The previous two perk levels in combination! You'll get a personalized poem AND haiku, on topics of your choosing. The poems can be related to each other or each unique and independent works of art. For our bronze donors, you'll receive access to our exclusive donor blog, where we'll post regular updates about our slam season practices and CUPSI preparation, as well as all previous perks! For our silver donors, we'll be creating personalized thank you videos for your support! Comes with all previous perks, including social media shoutouts, personalized haiku and poem, and access to our exclusive donor blog. For our gold donors, we'll be creating personalized livestreams for you while we're on the ground in Houston at CUPSI 2019! Includes all previous perk levels: social media shoutouts, personalized haiku and poems, access to our donor blog, thank you videos, and more.